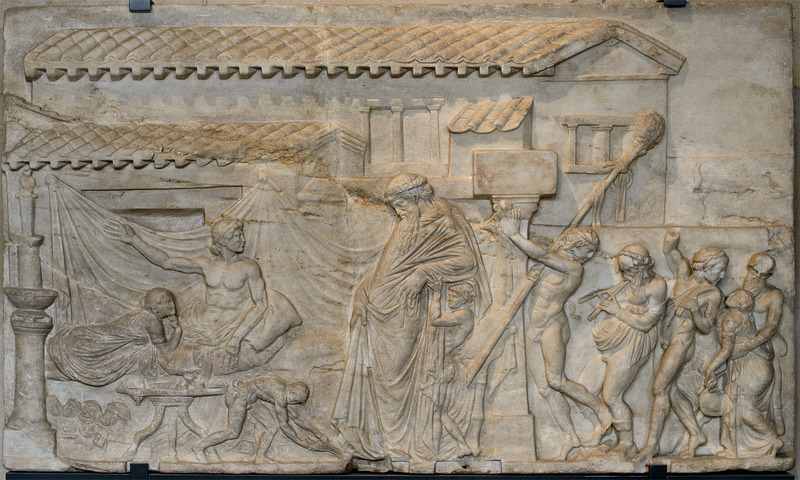 Dramatic poet plays host to Dionysus (so-called “Icarios’ feast”). Marble. Roman copy of the 2nd cent. CE from Greek model of late 2nd cent. BCE. Inv. Nos. MR 719 / Ma 1606. From the Albani collection. Revolutionary confiscation 1798. See also similar reliefs from the State Hermitage in Saint Petersburg and from the National archaeological museum of Naples.